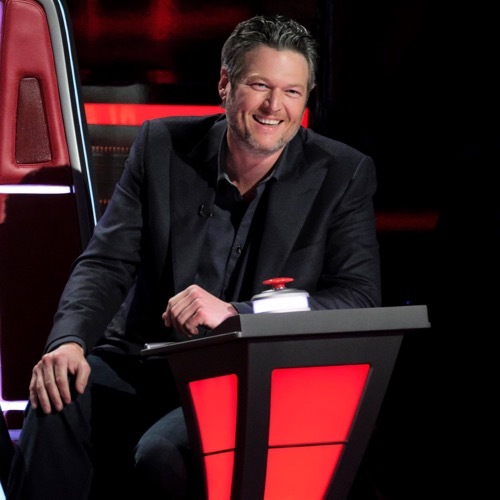 It was another night of epic battles on tonight’s all-new episode of “The Voice”. The judges had carefully chosen in the beginning and had picked a team they believed they could with however tonight that was all thrown into disarray when the judges were forced to choose once again. Only this time they knew going in that they would have let go one of their stars to let the other shine and so the night was full of surprises. The first team that went up on the cutting block was Team Blake. Blake had chosen both Kaleb and Pryor for their voices because one of them could sing a country melody and the other could add a little bit of soul to whatever sang. So Blake decided to pit these men against each other and he chose the perfect song to bring out of the best in both of them. He chose a Tom Petty song! Petty was a bit of a legend and so the singers couldn’t rearrange the music too much because they had to stay true to Petty’s original version, but they also realized where they were stronger during practice with a living legend. Team Blake had Trace Adkins for their celebrity mentor and he hadn’t pulled punches. He had loved Pryor’s voice and had still asked that he pulled back some. He said he was giving too much to the song and that he would rather hear Pryor sing the song as a melody which was something of a challenge for Pryor. He was a rocker at heart and so he had to retrain himself specifically for this song while Kaleb had to learn to add more soul to his own voice. Kaleb would add what Blake called the Country lick to the end of the song with a bunch of oos and aahs and so Blake asked him to cut some of that extra part out. The guys both received their fair share of criticisms and so it was a good thing they got that chance to practice onstage with Blake in the audience. He got more of an opportunity to guide his team this season and he made sure both were ready for when they entered the ring. But the ring turned out to be a great space for both. They played to their strengths and had even showed added depth to their voice, so it wasn’t surprising that they both got chosen again. Blake decided to take his bets with Pryor who he loved to watch onstage and Kaleb was later stolen by Kelly Clarkson. She had liked him since try-outs and had been glad to add him to her team. Now the second team that went up on that stage tonight was Team Adam. He had brought in celebrity mentor Julia Michaels and she helped him shape Mia and Genesis for their performance of a Kelly Clarkson’s song. It was “Because of You” and it had special meaning for Kelly because she had written that song her though singing a song in front of the original vocalists was taking a huge chance. It made it that much harder for the singers to take chances with the song and that’s what Adam wanted from them. They had initially tried out the song as a duet and Adam realized that he didn’t like them that way. Adam had wanted them to take turns singing the song because he wanted to hear them individually and Julia agreed. She preferred it that way as well because they both brought something to the song in their own way. But there was a difference between this group and the one that came before it. The judges had ended loving both singers with how they sang the song and Kelly had been proud of them for what they brought to it, however, there was one clear winner with this song and it was Mia. She had a stronger voice and so Adam picked her because he knew she could go further in the competition. And unfortunately, no one stole Genesis. This proved to be the last night of Genesis and she went home having learned more about the business because of the show, so moving on it turned out to be Team Kelly’s turn. She had decided to put Molly and Justin against each other because of how they complemented each other. They were friends behind the scenes and that played well as they sang a duet together because Kelly had wanted to hear the stronger voice in the duet rather than have them compete against each other like what Adam did. So Kelly went a little country with her song selection and that was a great song for this particular duo. They both had some country to them and knew how to hit both high and low notes which wasn’t always easy, but they thankfully had Hailee Steinfeld as their celebrity mentor tonight. She and Kelly both helped the pair to sing the song as close to perfect as they could possibly get and that showed in the later battle. Their voices were great together like expected and so Kelly had a hard time making a choice. She hadn’t wanted to disappoint anyone and at the same time, she knew the other judges had all come to the same opinion. They had all agreed that the battle went to Justin whose falsetto was unique and could make him a threat in later battles. Kelly hadn’t liked making a choice yet she ultimately decided to go with Justin because of that falsetto and once again the judges kept their steals to themselves. They liked Molly and so the problem was that they didn’t like her enough to replace someone already on their team. That was a tough choice in itself and the night was still young by then. The next team that went up was Team Adam. Adam decided to pit Drew against Miya. They both had a soulful voice and he had wanted to see what it could do with one song. He picked “Knocking on Heaven’s Door” and he wanted the both of them to sing it differently. Adam wanted Drew to sing the song in its original soulful version while he wanted Miya to hit the much higher vocal notes like Axel would have. He was creating a duet in which they could both shine and he did that by asking them to sing the song differently to each other through it lead to some interesting results. The two played off of each other very well and the judges later described the song as a Grammy-worthy performance because it was so good. But Adam could only pick one and he decided to pick the artist based on instinct rather than pick someone based on their performance tonight, so he picked Drew. Drew was someone he could hear on the radio and so he just felt a better a connection to him, however, Adam also loved Miya and so he was glad when she got stolen. She was one of those people that only Adam turned around for and many of the judges came to regret the decision because she was the stronger voice of the duet. So Alicia stole her for her team and she realized that she didn’t just want someone to sing soul. She said that she would like Miya to sing songs like the one tonight that fully showed off her range. And so Miya proved to be safe for another night of the battles. Up next was Team Blake! Blake decided to use opposites as well for one of these battles and so he chose to pit Chris against Jordan. Jordan had a smoother voice with a lot of control while Chris was a husky rocker vibe. They were so different that Jordan tried to be truly extra when they got their song selection. They got a country song with a rocker vibe and that was perfect for Chris. Its even how he would describe himself and so Jordan tried to imitate that to a certain degree. He tried to hit those higher notes as Chris would tackle them than how he’d normal sing them and so Blake had warned Jordan of this. He told him that he shouldn’t try to imitate anyone when he picked him because he wanted to how he’d sing it. Blake wanted Jordan to sing the song a lot smoother and it wasn’t until Jordan dropped the act that he sounded great, so the two later hit the stage being their authentic selves. It was a great duet and the judges were again feeling bad about not having them on their team. But Blake chose to go with Chris because of his voice that Blake thought was raw and was the future of country. He was said to say goodbye to Jordan and wishes him nothing but the best yet Jordan was eliminated and the next team up was finally Alicia. She decided to putt her youngest vocalists against each other and so tonight she arranged a Jaclyn and Britton duet. The two had wonderful voices and she gave them Ed Sheeran because she wanted to peel back the layers of their powerful voice to see what lied beneath. She had Britton pull back some and had encouraged Jaclyn to take more of a risk. Alicia had the help of Shawn Mendes as her celebrity mentor to whip the kids into shape and together they pulled off an amazing duet. They left both to shine as well as compliment each other and so the judges had a tough time between the two because they were both great. They just admitted afterward that if they had to choose that it would be Britton and Alicia thought the same. She picked Britton and luckily Blake decided to steal Jaclyn because they both deserved to stay on this show as long as possible.